The luxury hotel offers 129 guestrooms and suites, alongside facilities such as a heated swimming pool, poolside bar, health club, and spa. 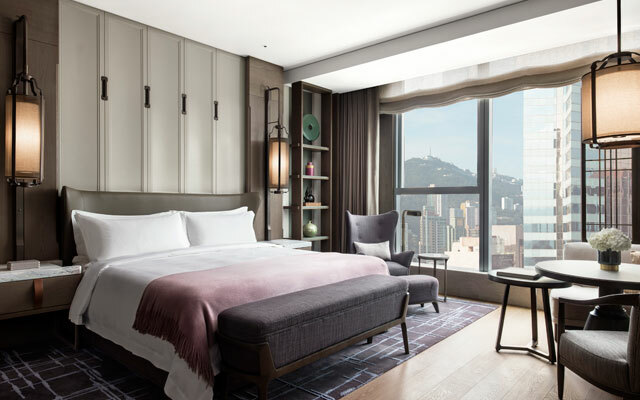 Guests of the hotel will also be able to enjoy the brand’s signature Butler Service, where services include private in-room check-in, unpacking and packing, beverage service and garment pressing. Through a dedicated butler, guests can also make plans or arrangements for occasions. The hotel will also introduce eButler chat – where guests can contact their dedicated Butler through the Marriott Mobile App, available 24 hours a day, or by scanning an electronic Butler contact card that connects the guest to the Butler via a dedicated line, email, and apps like WhatsApp and WeChat. Dining options on the property include French restaurant L’Envol headed by award-winning chef Olivier Elzer; Cantonese restaurant by Hung Chi-Kwong; The St Regis Bar; and The Drawing Room. The St Regis Hong Kong also boasts more than 1,100m2 of event space across five venues, ranging from the 518m2 Astor Ballroom to the Rockefeller Room suitable for corporate meetings.